Yarmouth MA has a split personality ... in a good way! 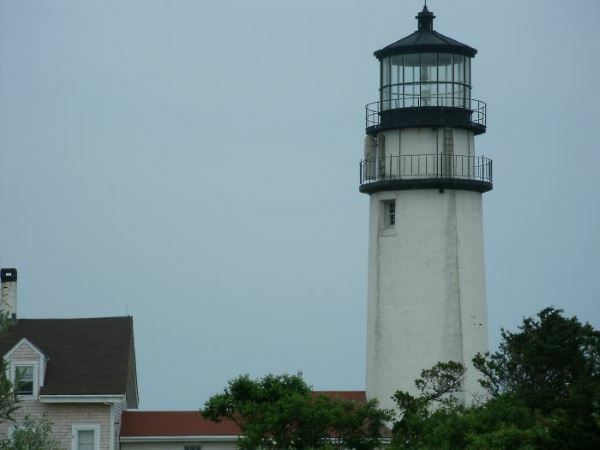 On the north side of town, along Cape Cod Bay, the village of Yarmouth Port is quaint and peaceful feeling. 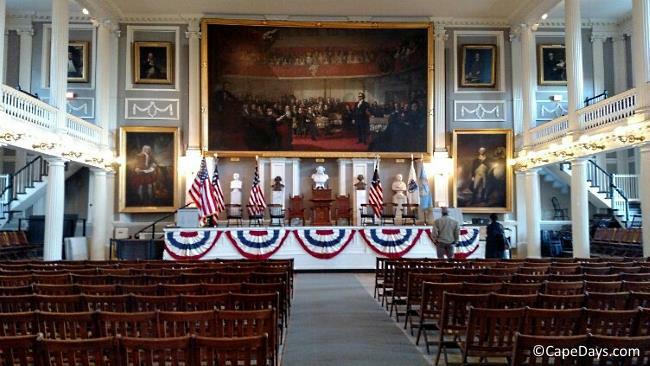 Its streets are lined with Colonial-era homes, antiques shops, art galleries, and lovely inns. On the south side, along Nantucket Sound, it's a whole different world. 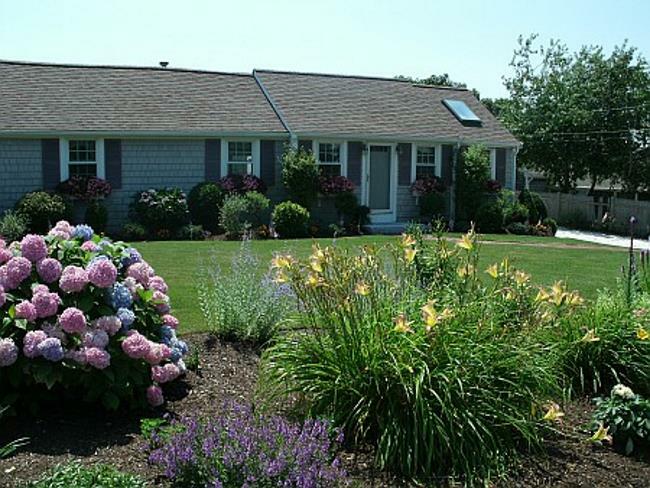 The south-side villages of West Yarmouth and South Yarmouth are the active part of town, with a distinctly "family neighborhood" atmosphere. One of the perks of vacationing in Yarmouth is that, no matter where you're staying, the "other side" of town isn't far away! At its narrowest point, Yarmouth is just over 4 miles wide from the Bay to the Sound. And at its widest, it's only about 6-7 miles wide. That unique geography makes it super-convenient for sightseeing on either side of town. It's just a few minute road trip from one side to the other! 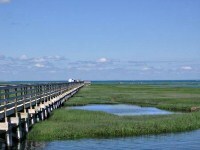 Bass Hole Boardwalk stretches nearly 900 feet out over the saltmarshes to Cape Cod Bay. In the morning, it's a peaceful place to greet the new day with the sea birds and marsh wildlife. In the evening, locals and visitors make their way here to watch the colorful sunset and see the moon glistening off the water. To get there, turn off Rt. 6A at Center Street. At the end of the street, you'll come to the small parking lot for Gray's Beach. Park there (free), and take the short stroll down to the beach and boardwalk. For many years, Edward Gorey, the quirky and immensely talented illustrator, lived here at 8 Strawberry Lane in Yarmouth Port. When you visit Mr. Gorey's home, you'll feel like he's just stepped out for a few minutes. Everything is still there, much as he left it. His first childhood sketches, personal momentos, books and playbills, artful scribblings on envelopes and scrap paper, even a stack of receipts from his favorite eatery (Jack's Out Back, just up the street). In every nook and cranny of the home, there's something Gorey! 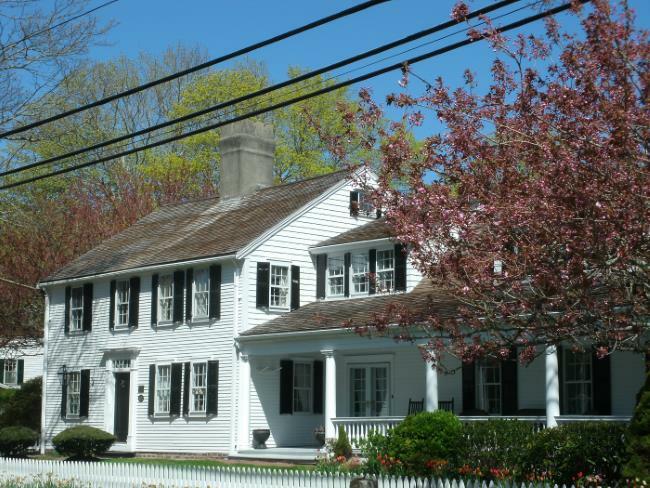 Edward Gorey House is open to his fans and curious visitors from April to December. 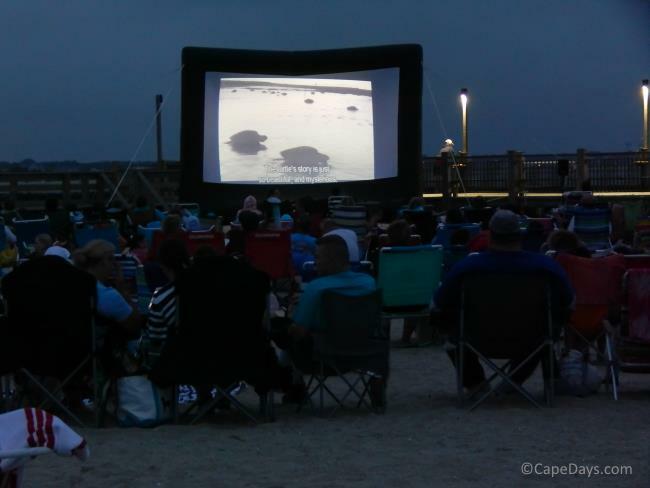 Crab Creek, one of the best blue crabbing spots on Cape Cod, is midway between the Bay and the Sound, on the Yarmouth-Dennis town border. 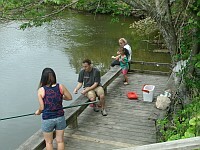 An outing to Crab Creek is the perfect way to entertain the whole family for a couple hours - and have a good shot at bringing home a bucket full of dinner. Here's when, where, and how to catch 'em and the easiest way to cook 'em, too. 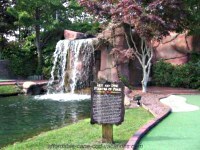 Miniature golf lovers will find the best mini-golf on Cape Cod (and perhaps in the entire universe!) at Pirates Cove on Rt. 28 in West Yarmouth MA. You can't miss it. It's the place with waterfalls, a full-sized pirate schooner, and the big shark sticking out of the side of the adjacent Pirates Cove arcade and gift shop. I'd say that this is one of the top attractions in town for kids, but it goes way beyond that. Adults are just as likely to tee up for an 18 or 36-hole round, then come back for more the next day! 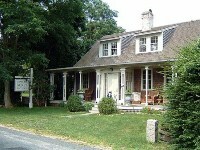 The Escape Inn, on Rt. 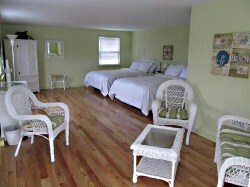 28 in South Yarmouth, is one of my favorite affordable lodging recommendations in town. There's been a little motel at this location for as long as I can remember. A few years ago, it was given a long overdue, total transformation. No more typical 1960s roadside motel. Now, the Escape Inn is a bright, airy, thoroughly charming place to stay - as the glowing guest reviews attest!